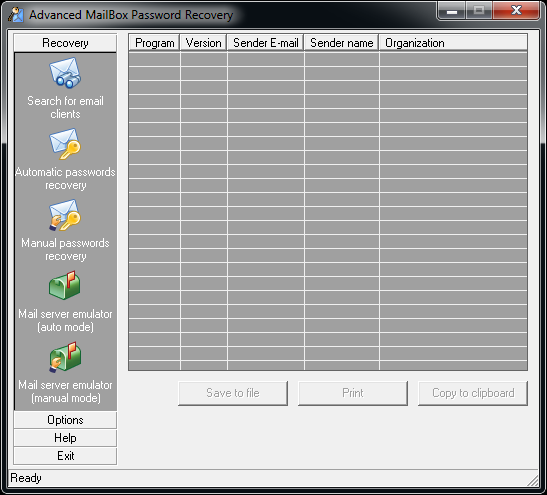 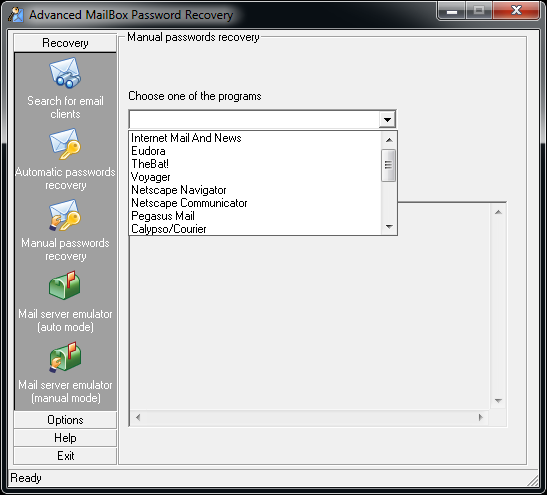 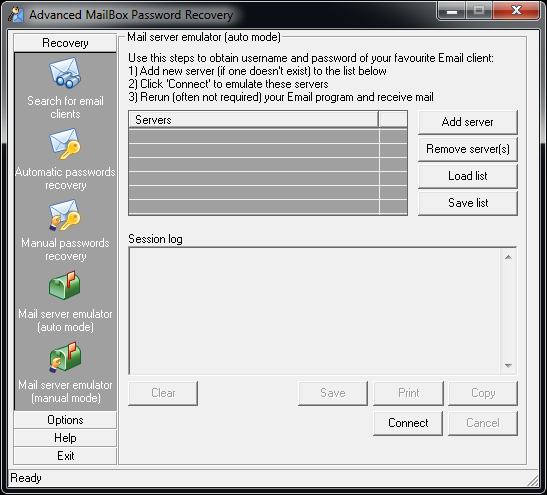 Instantly recover account passwords from multiple email clients. 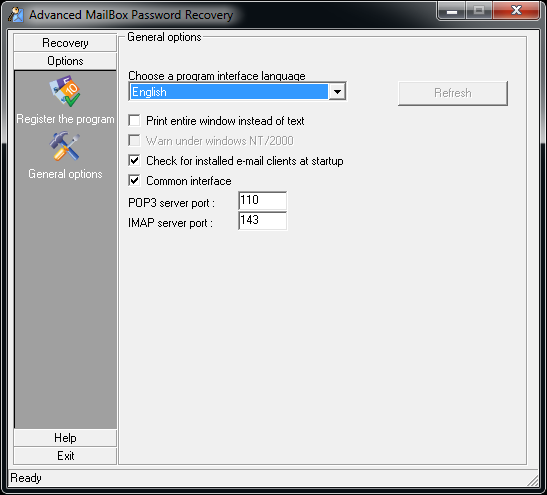 In addition to local recovery, the tool can intercept network traffic from email clients by emulating POP3/IMAP servers. 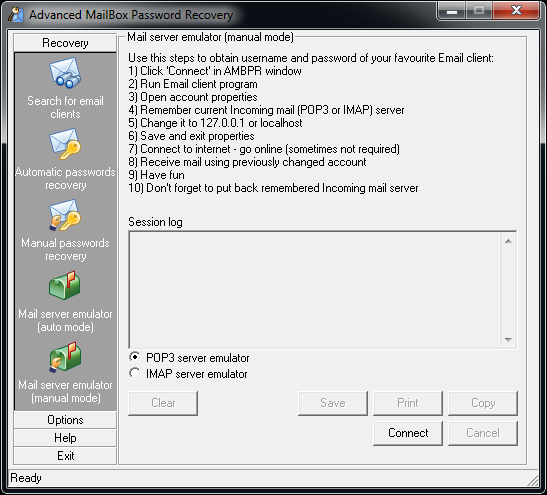 The built-in POP3/IMAP Server Emulator can recover POP3 and IMAP passwords from any email client ever developed, including those running on remote computers and mobile devices.